P&L Specialties is a comprehensive manufacturer of winery grape reception & processing equipment. Providing design, engineering, R&D, fabrication and installation services. Located in Santa Rosa Ca. we serve North America and the world. The company was founded in 1984 and the founders were determined to produce only the finest quality equipment. This unwavering commitment has remained the cornerstone of our operating principles. This achievement has only been possible by listening to our customers and employing the finest craftsmen and artisans. Every product we build is covered by the 2 year P&L warranty, if it breaks - we fix it right now, no problems, end of story. P&L SpecialtiesGrape reception products include: 1/2 ton bin dumpers, vibratory dosing hoppers, cluster sorting tables, destemmer feed conveyors, destemmers, whole-cluster metering with Cluster Thruster™ and Consista-Hopper™, the PATENTED LT MOG removal machines (5-75 TPH), The Rake Air Knife MOG system, post destemmer sorting tables, stand alone crush rollers, must pumps, presses, picking lug washing machines, receiving hoppers, hoists, catwalks, belt and screw conveyors, rotary screens, mixers and other specialized food equipment. P&L Specialties designs and builds complete array of crush pad, grape reception and sorting equipment for wine industry. P&L Specialties has propelled itself to a position of leadership in the industry because of our adherence high standards for quality and value. The machines, devices and fixtures that we design, build and install are tested in the field with thousands of hours of client input and inspiration.Every product we build is covered by the 2 year P&L warranty, if it breaks - we fix it right now, no problems, end of story. P&L Specialties Grape reception products include: 1/2 ton bin dumpers, vibratory dosing hoppers, cluster sorting tables, destemmer feed conveyors, destemmers, the PATENED LT MOG removal machines (5-75 TPH), The Rake Air Knife MOG system, post destemmer sorting tables, stand alone crush rollers, must pumps, presses, picking lug washing machines, receiving hoppers, hoists, catwalks, belt and screw conveyors, rotary screens, mixers and other specialized food equipment. We are in the business of developing solutions to our customer's problems. If you are having some challenges and don't see what you are looking for here, please contact us to discuss your situation. P&L Specialties offers complete equipment installation and repair services. We are licensed contractors in California (#803431), Washington (#PLSPELS923BZ), and Oregon (#180330). Our experienced field team has the skills and ability to satisfy your installation requirements. We schedule the installation around your schedule and requirements to minimize any disruption to your operations. We have formed lasting strategic alliances with several excellent general contractors to streamline the construction process if it is required as part of the installation. Dustin Holbrook, an 8-year employee of P&L Specialties stands at a computer screen, tracking the preprogrammed path of what is essentially a liquid blade made of water and garnet that cuts through a sheet of metal as if it were wood. Blasting at 50,000 pounds of force per square inch, and with extreme precision, the abrasive water jet cut out door frames for a local designer and builder. Holbrook, who only six years ago was working on P&L’s production line, had to learn quite a bit of computer-aided design to operate the machine, which is primarily used to cut metal sheets and pieces the Santa Rosa company uses to make its crush pad equipment for wineries. Back then, Holbrook was using a saw and tape measure rather than a $300,000 computerized water jet. But even with high-tech machining, Holbrook maintains a human touch. “I can tell how it’s running by listening to the machine,” he said as the jet nozzle, submerged in a large basin of water, hummed across the sheet of metal. The barrel washing, grape conveyors, sorting tables and grape hoppers P&L has been making for decades are not what you would consider the sort of high-tech equipment associated with places like Silicon Valley. But the processes used to fabricate and assemble them are anything but low-tech. Whether it’s making wine grape hoppers or producing anti-reflection coatings for a cancer doctor’s super-high resolution imaging display, those who make things in Sonoma County say a fertile business landscape that bridges high-tech and manufacturing is crucial. As a result, county economic development officials and industry leaders are exploring the creation of a manufacturing alliance or business cluster that would bring together local manufacturers to help identify common needs and exchange ideas. Potentially staffed by the Sonoma County Economic Development Board, the alliance would assist local companies in addressing the manufacturing industry’s biggest challenges: continuing to implement advanced technology which is key in all manufacturing being the most critical thread tying together all the hurdles. To that end, among the most common obstacles are employment recruitment and retention, internal training and retraining in order to adopt new technology in manufacturing processes. Equally important is the need to address the local housing crisis that pushed rents and home prices for workers and potential hires to levels comparable with other Bay Area communities and thus has made Sonoma County less appealing. “Manufacturing and technology are key to our future — they foster innovation, economic diversification and provide good jobs with benefits,” said Ben Stone, executive director of the economic development board. Stone said the idea of forming a manufacturing alliance came out of focus groups with manufacturing representatives that were convened as part of the five-year economic development plan called Strategic Sonoma. Ed Barr, president of P&L Specialties, has a background in aviation manufacturing, acquired P&L Specialties in 1999 and has since bought related companies TomBeard Company and Revolution Equipment Sales. Barr said when he joined the local Workforce Investment Board 16 years ago to help improve vocational and secondary education related to manufacturing, he did not anticipate the cost of housing reaching a pricing level on par with East Bay and South Bay communities. That makes it a lot more difficult to attract outside workers who may be looking for more affordable housing than they might find in Oakland, San Jose or San Francisco, he said. Educating and training Sonoma County residents like Holbrook with existing ties to the local community could lead to a more stable workforce. Holbrook, a native of Santa Rosa, said he’s thankful for the opportunity Barr gave him to train to operate the water jet cutter. He’s become proficient in the machine’s proprietary OMAX computer-aided design software, which can easily convert other computer designs, including AutoCAD and Solidworks. “It was a little intimidating at first, to tell you the truth. I didn’t even know what a water jet was,” said Holbrook, who now has no trouble visualizing and executing cuts as narrow as four-thousandths of an inch. The total number of manufacturing jobs in Sonoma County, nearly 25,000 positions as of November 2018, make up only 11.7 percent of the county’s total workforce of a little more than 211,000 people, according to federal labor statistics compiled by Moody’s Analytics. That share of the total county workforce has declined significantly from a high of 16.7 percent in December 2000. High-tech manufacturing, excluding high-tech services, plunged from more than 10,300 jobs in December 2000 to about 4,200 in November 2018. The job losses are primarily a result of local medical device and electronics testing companies shedding thousands of jobs in the past two decades. Meanwhile, during that same period the total number of local food and beverage manufacturing jobs went from 8,800 to 14,100 positions. The food and beverage manufacturing sector now comprises nearly 57 percent of all local manufacturing jobs, compared with only 28 percent at the turn of the century. Last year, for the first time, more than $1 billion of computer- related equipment was exported from Sonoma County, “a remarkable achievement for a semirural county like Sonoma,” Stone said. A key factor in growing the local manufacturing industry, especially the high-tech sector, is cultivating manufacturing and engineering offerings at local colleges and universities, said Farid Farahmand, chair of the Sonoma State engineering department. Farahmand said the SSU engineering department remains small compared with other Bay Area universities. Sonoma State’s engineering program only offers undergraduate and graduate courses in electrical engineering. The school has about 150 undergraduates and 20 graduate students in engineering. Compare that to San Jose State University, which has engineering undergraduate and graduate programs in aerospace engineering; aviation technology; biomedical engineering; chemical and materials engineering; civil and environmental engineering; civil engineering; computer engineering; electrical engineering; industrial and systems engineering; and mechanical engineering. Local companies often find themselves competing for the same pool of local employees unless they recruit from outside the county. Farahmand said large manufacturers in Sonoma County are struggling to attract and retain talented employees from other states. Many of these people have no ties to the local community and some often use a Sonoma County technology job as a stepping stone to their next job elsewhere in the Bay Area. Farahmand said Sonoma State is well-positioned to collaborate with the county’s manufacturing alliance to help grow the college’s engineering programs. Stone said Sonoma State’s engineering program, started 20 years ago, was the product of manufacturers and tech firms persuading the school to start a program. “Now this new (manufacturing) alliance can build on this and work with SSU and SRJC (Santa Rosa Junior College) to enhance and diversify courses to meet emerging needs,” Stone said. 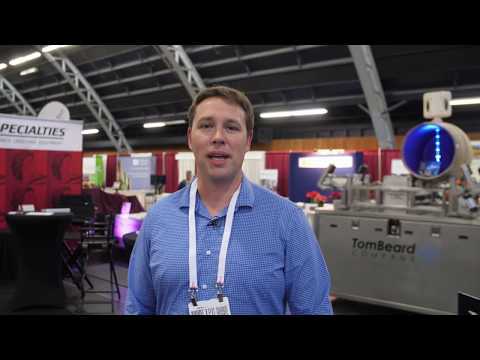 Tom Chambers, vice president of operations for Mac Thin Films, a Santa Rosa optical coating company, said local manufacturers are crucial to the economy, whether they are involved in optical coating, cannabis, medical devices, fabricators or the wine industry. He said although product lines vary greatly, all producers would benefit from coming together and focusing on the common issues. The county is planning to convene a luncheon this month with local manufacturers to further explore the formation of the alliance. Chambers, a former Healdsburg mayor and city councilman, said there have been efforts in the past to bolster manufacturing through the formation of industry groups. He said he’s eager to see what new angle or approach the proposed alliance might take. “Having a unified group that reaches broadly across the county will hopefully provide support for large, small and startup businesses and provide advocacy for manufacturers,” Chambers said. Article published in the Press Democrat here. Complete Sorting Line on Sale! Includes a stainless steel perforated collection basket for MOG waste and stainless-steel pan with tri-clamp drain for juice collection. Unit to include variable speed control operated with remote pendant controller. Drive to be internal drum pulley with VFD controls. Check out our sister company's "Steel" of the week featuring our equipment! Our state of the art waterjet machine makes it possible to produce very accurate parts with minimal setup time and the ability to cut almost any material up to 6 inches thick. Our OMAX 60120 has the ability to directly import any DXF, PDF or CAD file with no need to redraw it. Parts can also be scanned-in using the machine itself, allowing prototypes and limited runs on a short deadline, easy to achieve. PRECISION. Waterjet cutting is a precise, quick, clean procedure that produces parts with no added stress or heat, and with the little to no burrs that typically require further processing. Our waterjet machine produces a .08mm jet of water and garnet. Waterjet cut parts can be closely nested together with minimal wasted material. HIGH QUALITY. P&L Specialties is a growing company that has kept its Small Company Care for our clients. We remain dedicated, providing the highest quality and the most cost-effective solutions to your needs, while maintaining the fastest turn around possible. Professional graphic design services available. Competitive Prices and Fast Delivery: Press Membranes and Parts! Harvest is underway! Find yourself needing press membranes and parts? We've got them! We are selling press membranes and parts (for most models) through our sister company Revolution Equpiment Sales. Our prices are extremely competitive and offer fast delivery! Contact Halley for a quote! We have supplied the wine industry with high quality, handcrafted membranes to fit all major manufacturers, models and sizes of pneumatic presses. Our membranes are constructed of highly resistant materials offering supperior durability and flexibility, featuring specially formulated material bound to a proprietary woven fiber matrix. Utilizing high frequency welded seams and design reinforcements, our membranes have earned an outstanding reputation for strength, fit and economics for our customers. Our membranes have a slick surfce on the product side, with no welding reliefs and no stitches, providing exceptional ease of sanitation and a perfect seal. See P&L Specialties at The Show! We are excited about another exciting Tradeshow Season for new equipment and programs. SANTA ROSA, CA Local Manufacturing Leaders have recently re-certified for a Third Time as Sonoma County Green Businesses since the program became available. P&L Specialties, custom manufacturers of precision grape processing equipment and Tom Beard Company, recognized innovator of water-saving barrel washing systems are proud to maintain a public commitment to our local county, employees and What's Right. A stringent process is involved for the certification. Activities to improve internal systems such as paper use and printing, disposal and recycling programs, water flow and use, upgrade of all lighting sources in offices and shops, and employee rush-hour transportation solutions, are a few to maintain. The process and the entire companies’ involvement communicate our commitment to doing the right thing, the first time. To learn how to certifiy your business, visit www.sonoma-county.org/sonomagreen. For more information on P&L Specialties and Tom Beard Companies innovative processes and energy saving solutions, visit their respective websites: www.pnlspecialties.com and www.tombeard.com. The M.A.S. Mythos Presses were selected for their high quality, reliability and universal talent of grape pressing. M.A.S. uses a proven technology of vertical juice channels made of stainless steel and a large lid opening (almost the length of the entire drum). This larger lid allows easy, time-saving loading, with clear effective fre run of the mash after maceration - withou turning the drum. A flexible and easy to use touch-screen helps to perfectly adapt every grape variety and every processing method to the winemakers plan. M.A.S Mythos Presses are available in sizes 26, 34, 43 and 52 hl. Contact Andrew Wooller to order and learn more. We finally got our Facebook Page going... and look forward to being an Education Resource for the Industry. Crush equipment in stock, ready for immediate delivery! P&L Specialties has crush equipment in stock, ready for immediate delivery! • Crush equipment in stock NOW. • Financing available (for purchases by July 2015). Don’t wait to scramble in the heat of the Summer, get prepared now and stay cool! P&L Specialties and the Tom Beard Company, industry specialists in the manufacturing of customized wine processing and barrel-washing equipment, are proud to welcome Andrew Wooller as their Sales Engineer. Mr. Wooller grew up in the wine industry and has been involved with various sales and service roles serving the industry for the past 15 years. Mr. Wooller’s primary focus will be sales of P&L Specialties and Tom Beard Company products. In addition, he will support the sales effort of Revolution Equipment, a sister company specializing in certified pre-owned equipment for the wine, beer and craft distillery industry. P&L Specialties’ president Ed Barr was honored at the North Bay Business Journal’s 2014 Top Manufacturing Awards for Community Giving. Not as a business motive, but as a human being, Ed Barr’s altruistic focus has set an example for others. Ed Barr serves on the advisory committee with the Sonoma County Youth Probation Camp on vocational programs in woodworking and welding making benches, fire pits, barbecues for the public and culinary use. His role has been to help source tools, equipment and other resources for the camp. Mr. Barr also serves on the Petaluma Peoples Services Board that acquired the Bounty Farm in Petaluma providing food for Meals on Wheels, the food bank and local restaurants. In 2006, he started giving free guitar lessons to high school and junior college students who could not pay for instruction. “All I ask is that they show up on time and practice as they expand their understanding of music. Now we have a Battle of the Students among those who play in a band together with a used drum set and PA system. Mr. Barr has been fortunate to have great mentors, especially his dad who guided him in the business. P&L Specialties’ LT™ (Le Trieur™) is mounted underneath or downstream from the destemmer, this machine's innovative design allows unripe "shot" berries, stem jacks, raisins and Material-Other-than-Grape (MOG) to pass through a wedge-wire screen. Manufactured entirely of stainless steel, and equipped with a VFD for complete range of speed control. The LT™ is very easy to operate, clean and allows juice to be captured. The LT™ can be designed to fit into your existing line or, of course, will integrate easily into a new P&L Specialties’ processing line. -Hi-Impact Nema 4X and UL listed enclosure provides better protection of the electronic controls. -Remote control pendant with ‘on/off’, speed ‘up’ and speed ‘down’ buttons on 25’ tether. -Optional parallel screens available in 3/16” , 5/16th”, 7/16th” gaps. Allows you to sort specifically to your fruit variety and/or condition. We have had repeated success sorting in a broad range from .25 ton/hour to 4 tons/hour. Results vary with condition of fruit, degree of separation/sorting needed and production speed you require. P & L Specialties and Tom Beard Company,Santa Rosa-based manufacturers of Winemaking equipment, received the "Green Business Certification" from the Bay Area Green Business Program on February 2, 2010. The 6-month certification process in Sonoma County is administered by the Economic Development Board and the Sonoma County Board of Supervisors confers the certification. Santa Rosa Ca. 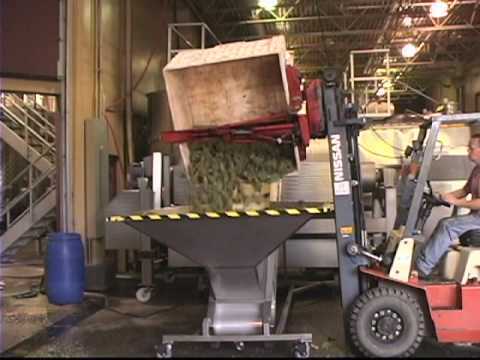 based P&L Specialties has received a US Patent for its Grape Berry Sorting Machine, the LT™ (Le Trieur). The patent was awarded to Ed Barr (President/CEO) on September 1st, 2009. P&L Specialties is an equipment design, engineering, fabrication, and service company that specializes in grape reception, handling, and sorting machinery systems for wineries worldwide. The LT™ and the larger volume LT 2+2™ machines represent the first and only US Patented machinery for the removal of M.O.G. (Material Other than Grape) in grape sorting process says Barr, “These machines were born from the collective input of preeminent winemakers whose unstoppable desire for improved wine quality drove our product development”. P&L Specialties has been manufacturing the LT™ machines during the Patent process and has delivered over 150+ machines to USA and Canadian wineries. P&L Specialties designs and builds all of their equipment at their Santa Rosa Ca. headquarters. “We are proud to have achieved the recognition of the US Patent for our LT™ machine but we are more elated with the performance and the customer satisfaction of the 150+ machines we have delivered to the wine industry” says Barr. P&L Specialties celebrates their 25th anniversary this year and has several other industry innovations currently in process. “P&L Specialties has several new machines in Beta test mode at wineries this harvest season. We share the same passion as our clients and we see it as our mission to build machines that help winemakers achieve their vision and express their individual creativity” adds Barr. The Mog Monster is President Ed Barr's name for P&L Specialties latest creation. It is easily the largest, domestically built mog separator ever made. Designed and built at their custom fabrication facility in Windsor, California, the mog removal system was recently delivered to the Canoe Ridge crush facility in Paterson, Washington. It is based on their newly patented Le Trieur separator, but this one is big. At six feet, 4 inches wide and 14 feet long, it is eight times larger than their standard machine. It is rated to process up to sixty tons of grapes per hour. "We wanted to improve quality at a fairly large crush facility and needed someone who could custom fabricate," said Bob Bertheau, senior director of winemaking at the 7,500 ton per year crush pad. "We were familiar with the Le Trieur mog removal equipment and so we approached P&L to explore the possibilities." Bertheau added, "75 percent of our grapes are processed in three weeks so we are designed for speed. This addition, however, is about improving quality on a large scale." Bertheau concluded, "Our vision is to make Canoe Ridge a premier red winemaking facility in Washington state, for both value and quality of red wines. We want it all; we have a great production crew, grape resources, and have upgraded the facility to accomplish our goals." In design phase for two years, Barr's creation contains many of the Le Trieur features, including the six exchangeable screens of wedge-wire separators. Triangulated with wide at the top and narrow at the bottom, each wire allows for mog to separate from berries and then drop. Canoe Ridge will be using the ¼ inch and 3/16 inch wire spacing to accommodate the Bordeaux varietals at the facility. For Barr the most difficult aspect of the design was how to handle the sheer mass of moving parts. The 100 percent, 304 stainless receiving bed alone weighs 1,200 lbs. If the winery is operating at full capacity and processing 60 tons per hour, this means at any given time the bed is rapidly vibrating over one and a half tons of mass. At 300 bed strokes per minute or 5 per second, the amount of inertia generated by the rapid motion-reversal is huge. The answer was to design a flywheel and counter balance system to offset the inertia. In conjunction with the mog separator, P&L Specialties also designed and fabricated a new receiving hopper which can accommodate five ton bins. In order to meter this amount of fruit evenly, the screw conveyor has a graduated pitch from 12 inches, to 18 and finally 24 inches. Next the fruit passes to a P&L incline-conveyor and then to a destemmer. The final stage is the Mog Monster and must sump. St. Michelle is one of the few premium wineries in the world with two state-of-the-art winemaking facilities, one devoted to whites and another to reds. The white wines are made in Woodinville, 15 miles northeast of Seattle. Chateau Ste. Michelle's red wines are made at the Canoe Ridge Estate Winery in Eastern Washington. P&L Specialties carries Demoisy’s New Generation Galeo destemmer, the Vega mohno-style must pump and the unique Multi-Cone Crusher Roller. These fine products are easily integrated into an existing, or, new line of sorting equipment. Does your business need precision cut parts? Do you need a dozen, a hundred or thousands? Do you need multiple types of parts cut from the same material? Do you need a vendor to produce prototypes? Call us. Our OMAX CNC WaterJet Cutting Machine uses 50,000 PSI garnet water pressure creating a jet stream capable of cutting material from .0005 thick to 6 thick. Available for contract cutting jobs in a wide variety of materials: Stainless Steel, Aluminum, Copper, Zinc, Hardwood, Stone, Granite, Glass, Ceramic, Acrylic and Composites. All water is recycled and never leaves the building. Rotary Screens - Superior Liquid/Solids Separation developed by P&L Specialties in 1987, the Rotary Screen is a cost-effective improvement over sedimentation tanks and drag screens in primary treatment applications. The P&L Specialties Rotary Screen is a robust piece of equipment that features an all stainless steel construction and heavy gauge materials for extreme durability. The Rotary Screen is designed to be virtually maintenance free. This advanced design produces excellent material separation results and significant reductions in maintenance and operating cost over typical separation methods. The P&L Specialties Rotary Screen uses a rotating stainless steel screen with wedge wire or perforated screen to reduce suspended solids and B.O.D. (Biological Oxygen Demand) concentrations prior to secondary treatment. Total suspended matter can be reduced by as much as 60% (90% settle-able solids) and insoluble B.O.D. removals of up to 40%. Separation characteristics can be further tuned by adjusting drum RPM and angle, thus allowing fine tuning. Our engineering team can design a Rotary Screen to meet your specific separation requirements. Many wineries are successfully using our rotary screens as pre-drain screens for pomace prior to pressing. They have found that this simple step saves them countless hours of press time, dramatically increasing the efficiency of their operations! Contact us for consultation (707) 573-314.